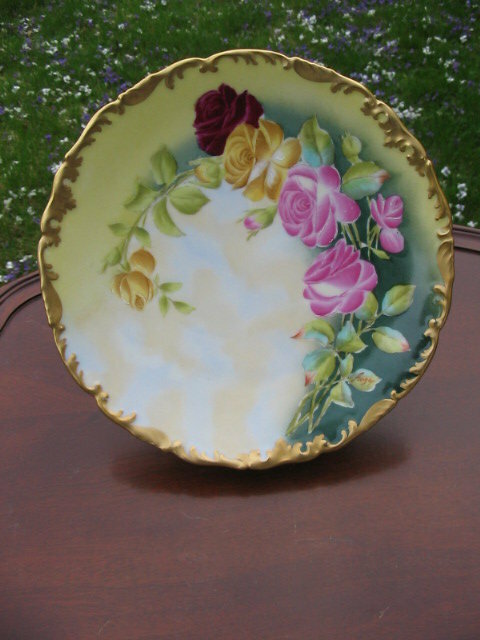 HERE IS A STUNNING HAND PAINTED STUDIO ARTIST SIGNED T & V LIMOGES ROSE PLATE IN MINT CONDITION. 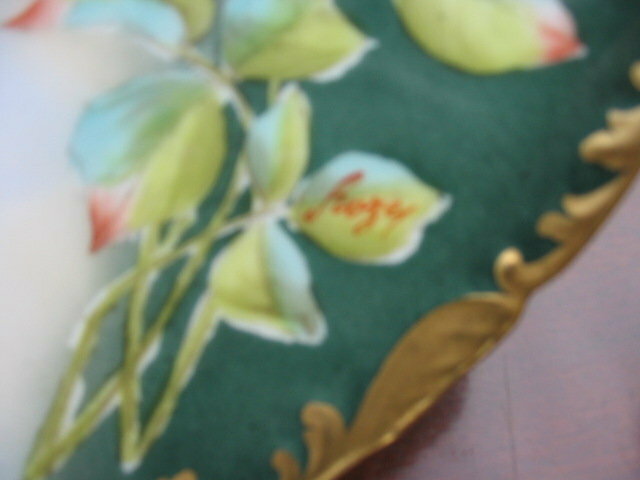 THE ARTIST IS ROZEY (AKA RORY) AND IS LISTED IN DEBBY DUBAY'S ANTIQUE LIMOGES AT HOME ON PAGES 208 AND 215. 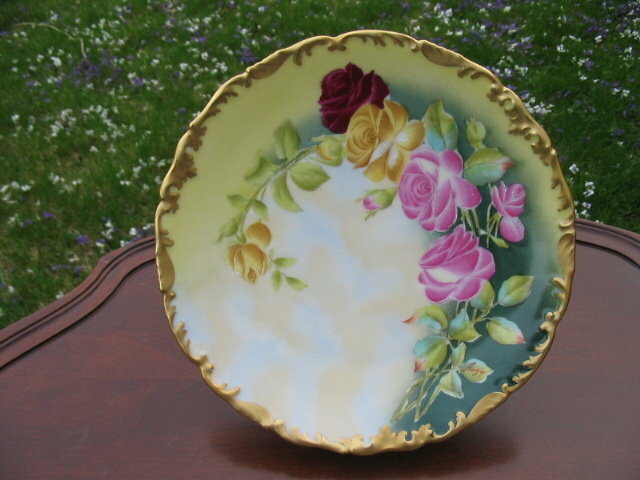 THE PLATE FEATURES MAGNIFICENTLY PAINTED ROSES OF RED PINK AND YELLOW AGAINST A CREAMY GREEN AND YELLOW BACKGROUND. NO CHIPS CRACKS HAIRLINES OR REPAIRS AND NO GOLD WEAR. TRESSEMANN AND VOGT MARK 8 IN GREEN UNDERGLAZE AND DECORATING MARK 16B IN PURPLE OVERGLAZE. Items Similar To "H.P. 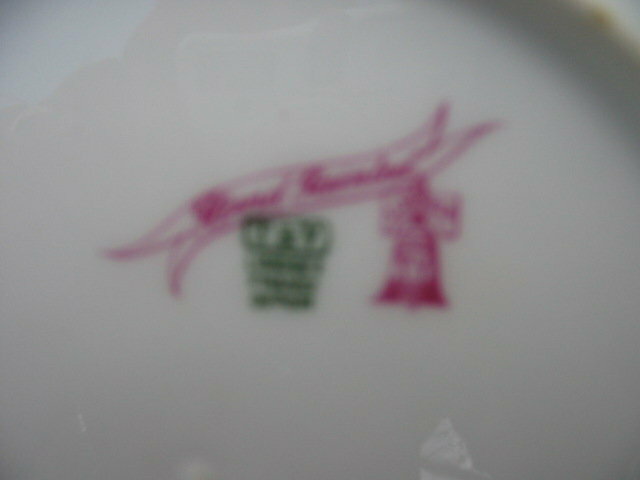 LIMOGES STUDIO ARTIST PLATE "